April is National Poetry Month, Jazz Appreciation Month, and the consumer holiday known as Record Store Day (RSD) is April 18. 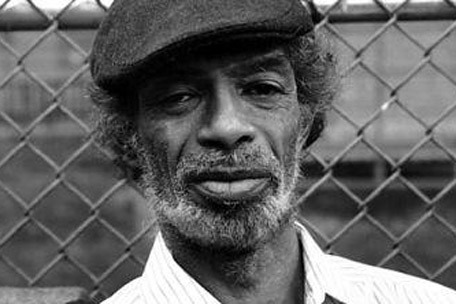 Gil Scott- Heron is a timeless poet and performer who published poems and prose, in addition to performing songs on piano. He also has a vast recorded catalog, most all of it available on vinyl. Though he was often classified as a jazz artist, his emphasis was truly on his words. Truth was, there were echoes in his grooves of blues and gospel, rock and soul. If ever you seek his work in the record bins, cross-check the rock, jazz or “miscellaneous” sections and you’re likely to find the discs there. Last year’s RSD release by Heron, Nothing New, is a collection of stripped-down tracks, recorded in 2005. This sample cut, “Alien (Hold On To Your Dreams),” was originally released on the 1980 Gil Scott-Heron and Brian Jackson album, 1980, as a full band, gospel-synth track. It’s amazing how timely the song and its story of border crossings remain, though it is of course the nature of visionary poetry and jazz to foreshadow our concerns. The song’s refrain, “hold on” is recurrent in liberation songs and movement: The most obvious reference is the spiritual “Gospel Plow,” rendered as the civil rights anthem, “Keep Your Eyes on the Prize.” Scott-Heron conjures its spirit of persistence in his own tenderly rendered immigrant song. Born in Chicago April 1, 1949, Scott-Heron was raised in Tennessee by his grandmother until he and his single mother, a librarian, eventually moved north to New York City. As a teenager, he excelled at writing and earned enrollment at Fieldston, a progressive Ivy League preparatory school. Upon graduation, he chose to attend Lincoln University in Philadelphia, quite simply because it was the alma mater of poet Langston Hughes. His memoir, The Last Holiday, details this background and is gloriously written in plain spoken style. As a musician, Scott-Heron’s sound was conjoined with the word styles of Hughes, as well as those of talkers like Malcolm X and Huey Newton. But it was “musicians more than writers” who inspired him, and he used the rhythms of folk, blues, soul, and jazz to fulfill the intensity of his emotion. “Richie Havens—what he does with the images and themes, Coltrane—the time defiant nature and thrust of his work. Otis Redding—the way he sings lyrics so that they come through as sounds. You can really appreciate how close a saxophone is to the human voice when you hear Otis singing. I sometimes write poetry, in a way, like Otis sings. The sounds form shapes. Like clouds banging into each other. That’s how I get loud sounds in my poetry,” said Scott-Heron to Jazz and Pop‘s Nat Hentoff. Scott-Heron died on May 27, 2011 leaving a huge void in vision and voice, poetry and jazz, though through the miracle of recorded sound and the printed page, his words and music still echo in hearts of his fellow travelers.